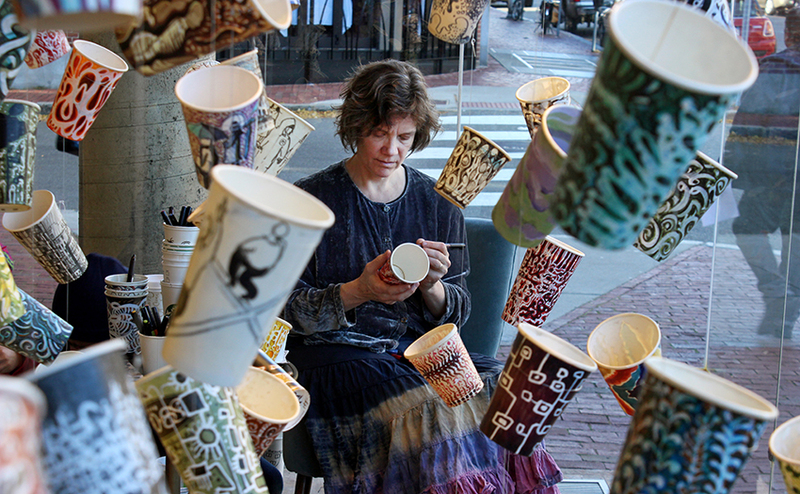 The artist is spending three days drawing on paper cups in the Harvard Square store's window. 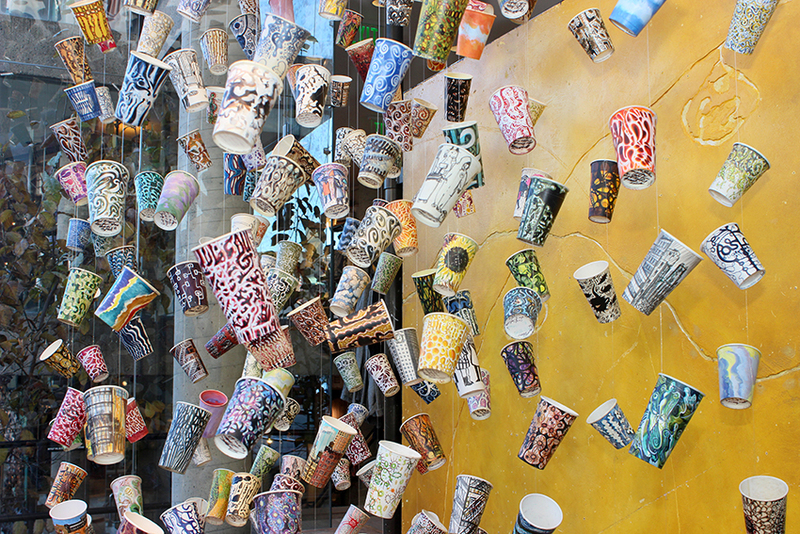 Anthropologie has also partnered with Leech to sell ceramic versions of her artwork. By Olga Khvan·	 11/22/2013, 12:09 p.m. 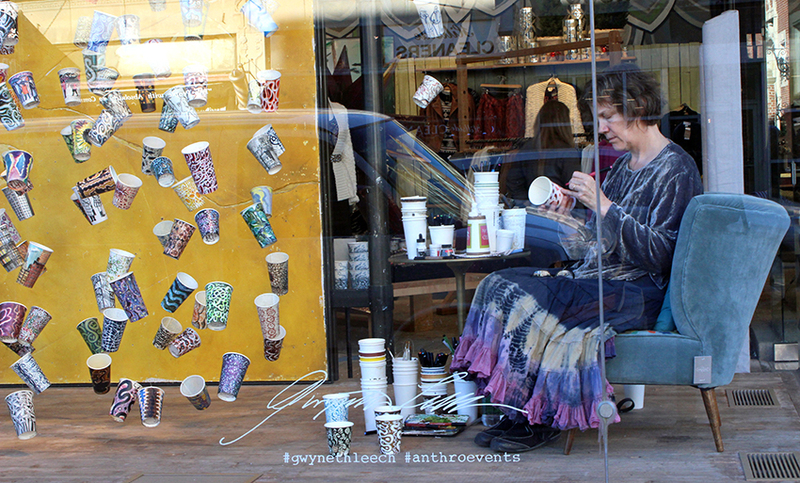 Unlike many of us, Gwyneth Leech does not throw away a paper cup after finishing her daily dose of hot coffee or tea that was served in it. Instead, the artist keeps it and later uses it as a surface for her drawings, each one capturing a social moment, whether it’s an interaction with a friend or simply an encounter with a barista at a coffee shop. 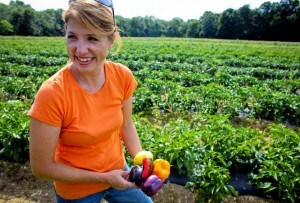 In 2009 when Leech was working a part-time job, her workplace switched from styrofoam to paper cups. That’s when she discovered that she immensely enjoyed drawing on their curved surfaces. Since then, Leech approximates that she has produced around 1,000 of these works. 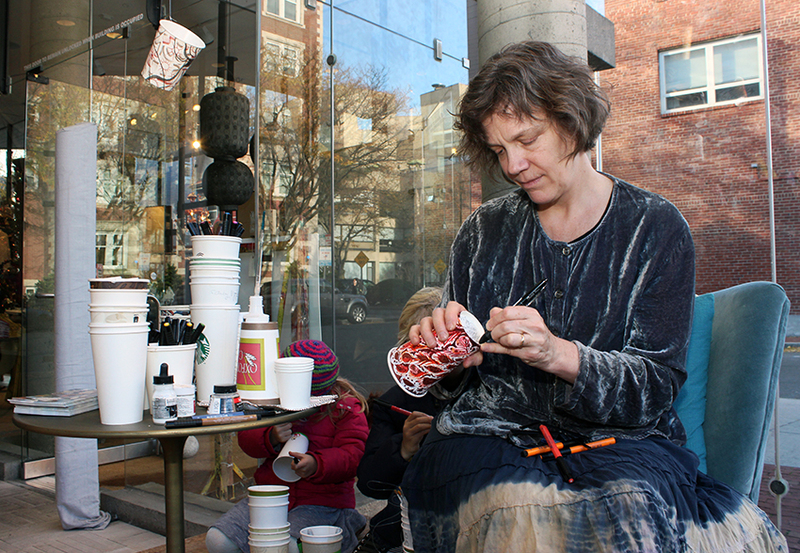 The project has prompted several live art exhibitions, including one in a storefront in New York City’s Garment District (where Leech has her studio), one in the Flatiron Building, and now, in the windows of Anthropologie’s Harvard Square location at 44 Brattle Street in Cambridge. 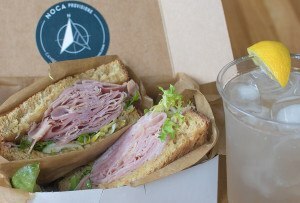 Leech was approached by the brand’s chief merchandising officer through a chance meeting during an alumni weekend at her old high school in Philadelphia. 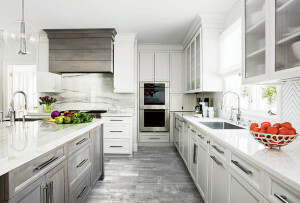 Shortly afterward, Anthropologie agreed on a collaboration with the artist, transforming eight of her designs into porcelain versions. 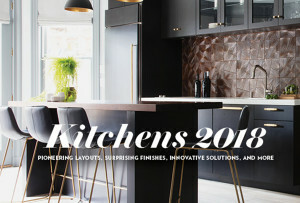 Leech and Anthropologie are now in discussion for further collaboration, with the possibility of three more cup collections that could come out in 2014 and 2015. But for now, the artist plans to continue with the project as is, while also experimenting with reconfiguring them into different forms such as traditional paintings and sculpture. Additionally, Leech hopes that the project will disseminate the idea of upcycling. Through negotiations between Leech and Anthropologie, hundreds of the artist’s cup designs were narrowed down to eight that would be transformed into porcelain versions and sold at the stores during the holiday season. 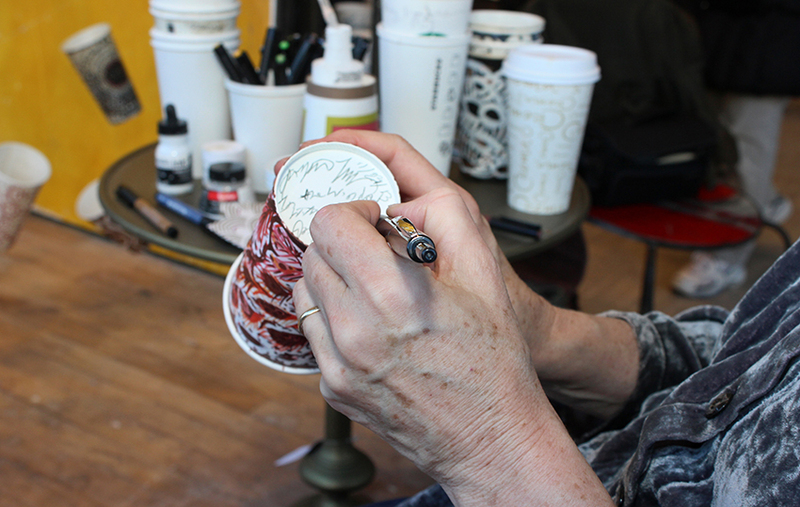 Leech primarily uses Faber-Castell brush pens for her cup designs, but occasionally experiments with white ink, watercolors, and oil paints. Each cup is inscribed on the bottom with Leech’s signature, the date, location, beverage consumed, and the social encounter that it documents. 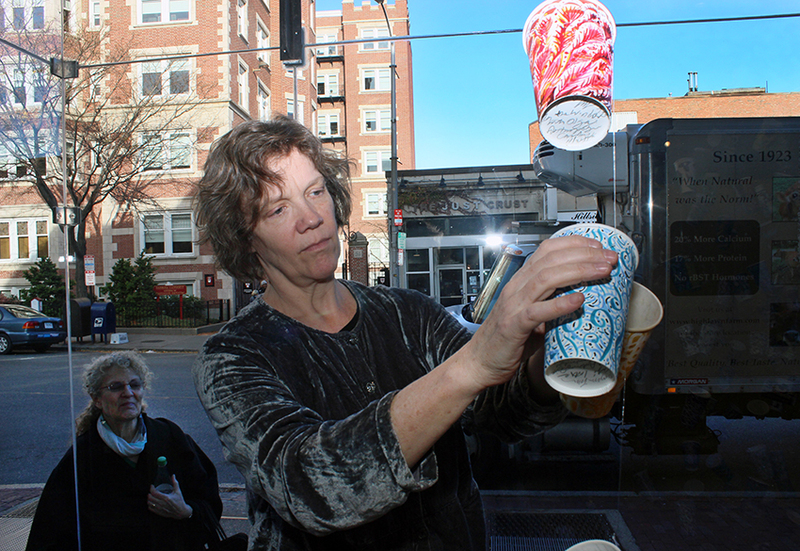 Leech adjusts the display of hanging cups at her exhibit in Cambridge. 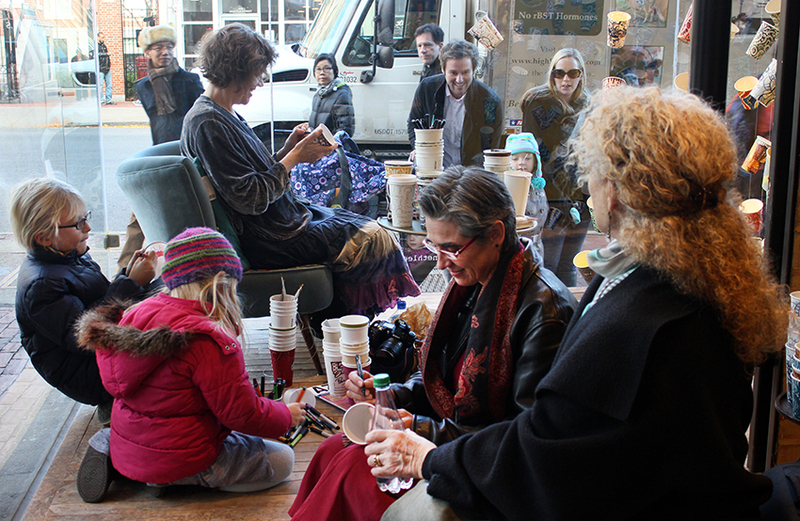 Yesterday, on the first day of Leech’s Anthropologie exhibit in Cambridge, the artist was joined by the children of an Anthropologie customer, as well as former classmates from her high school, while passersby occasionally looked in from the outside. 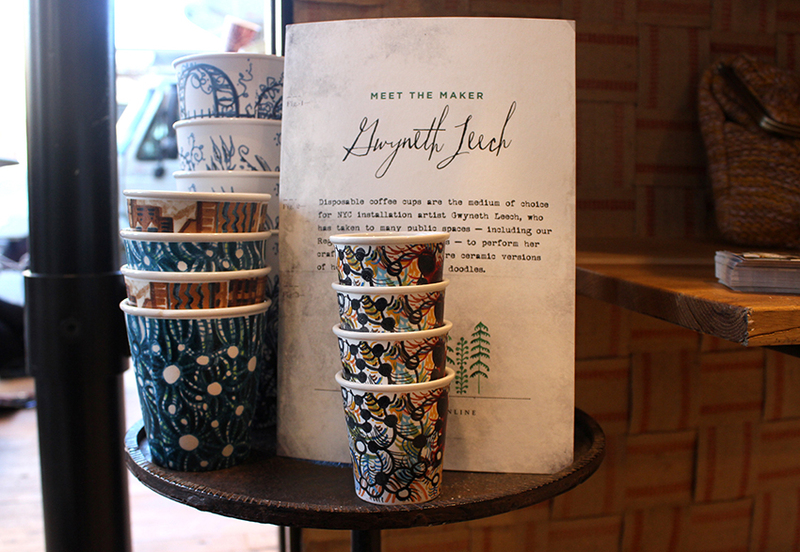 The artist will be on-site today, November 22, from 4 to 7 p.m., and tomorrow, November 23, from noon to 3 p.m. For more information, visit anthropologie.com and Leech’s blog, gwynethsfullbrew.com.